Although autologous stem cell transplant (ASCT) remains a backbone of treatment for patients with multiple myeloma, therapeutic options for those who are ineligible for transplant are growing, according to Nitya Nathwani, MD. Results from the SWOG S0777 study published in 2016 established lenalidomide (Revlimid), bortezomib (Velcade), and dexamethasone (RVd) as the standard of care for the frontline treatment of patients with myeloma. The RVd-modified, or “lite” regimen—in which lenalidomide, bortezomib, and dexamethasone are used in markedly lower doses—is being used in some older patients with myeloma, he said. The dose reduction makes the triplet more tolerable, while still providing benefit to frailer patients who are not eligible for ASCT. 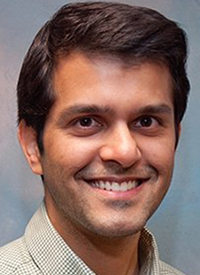 Carfilzomib (Kyprolis) is also being investigated in combination with lenalidomide and dexamethasone, but it is less tolerable in older patients, with significant cardiac and pulmonary toxicities being reported, explained Nathwani. Nathwani, an assistant professor of hematology and hematopoietic cell transplantation at City of Hope, discussed the management of patients with multiple myeloma who are ineligible for ASCT during a lecture at the 2018 OncLive® State of the Science Summit™ on Multiple Myeloma and Myeloproliferative Neoplasms. In an interview during the meeting, he highlighted current treatment options for this population, as well as combinations on the horizon. OncLive: Please give an overview of your presentation. Nathwani: In 2018, ASCT is still considered the standard of care for all patients who are eligible for it. The median age at the time of diagnosis for myeloma is 70; about two-thirds of patients with myeloma are 65 years old at time of diagnosis. Many patients are not eligible for transplant for a variety of reasons. It could be their comorbidities or functional status, and many of the older adults may have dementia, cardiac dysfunction, and pulmonary lung issues, rendering them ineligible for transplant. We need to individualize the treatment of these patients—we want to strive for the best possible response while minimizing toxicity. In 2018, RVd is likely considered the standard of care in the United States for newly diagnosed patients with myeloma. There have been studies looking at carfilzomib in combination with lenalidomide and dexamethasone, but there is an excess of cardiac and pulmonary toxicity in these older adults when they receive carfilzomib. The large SWOG S0777 study randomized patients to RVd versus lenalidomide and dexamethasone. That showed significant prolongation in progression-free survival, as well as overall survival for the group who received RVd. That study established RVd as the standard of care. However, not all patients are able to tolerate full-dose RVd, so this dose should be reduced as appropriate. There was an abstract presented a few years ago from a group at Massachusetts General Hospital called “RVd-lite,” which reduced the lenalidomide dose from the usual 25 mg to 15 mg. The bortezomib dose was reduced to 1.3 mg/m2 weekly and subcutaneously, and the dexamethasone dose was reduced to 20 mg in patients over the age of 75. This regimen was found to be well tolerated and efficacious, and is still awaiting publication. It showed that older patients can still receive a triplet, which is standard of care, but dose reductions can help them better tolerate the triplet. Can you elaborate on any other backbones being explored? There was a study that was a late-breaking abstract at the 2017 ASH Annual Meeting, presented by Dr María-Victoria Mateos of Hospital Universitario de Salamanca, and then published in the New England Journal of Medicine in February 2018. That study was bortezomib, melphalan, and prednisone (VMP) in combination with daratumumab. VMP is a commonly used regimen in Europe for transplant-ineligible patients. The cycles were every 6 weeks; daratumumab was given weekly during the first cycle, and then from cycles 2 through 9, every 3 weeks, and then from cycle 10 onwards, it was given every 4 weeks. This large study showed a clear benefit to the daratumumab-containing arm. The OS data are not mature yet, but there as a significant improvement in PFS, and daratumumab was fairly well tolerated. There were some infusion toxicities—about 28%—and a higher rate of infection in the daratumumab-containing arm. There was an excess of pneumonia, with 11% grade 3 pneumonia in the daratumumab-plus-VMP arm versus 4% in the VMP arm. Are there any other combinations that look promising? There is an [ongoing] study, which looks at daratumumab in combination with RVd in patients who are getting ASCT. For patients who are not eligible for ASCT, there is a study combining lenalidomide and dexamethasone with daratumumab called the MAIA study. That randomizes patients to lenalidomide and dexamethasone with or without daratumumab. That study has finished accrual, but we do not have any results yet.